Look at this old thing, this 1966 Ford GT40. Right-hand drive, as un-American as you can get, and Ford doesn’t even have the decency to stick a passenger side mirror on it. What’s so special about it anyway? Actually, this is the GT40 (chassis number P/1016, according to its RM Sotheby’s listing) that raced in the 1966 24 Hours of Le Mans. The race where Ford beat Ferrari with a 1-2-3 finish. The race where this very car finished third. 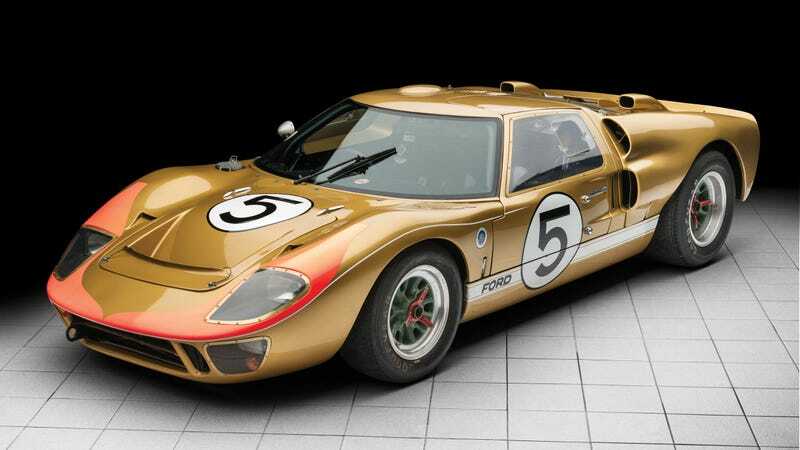 Anyway, the GT40 will hit the auction block during the Monterey auctions in August, where I am absolutely certain that it will fetch an honestly revolting amount of money. Enough to sustain a small country for a few weeks, at the very least. At the time of this writing, I have $29 in my wallet. Who else wants in?